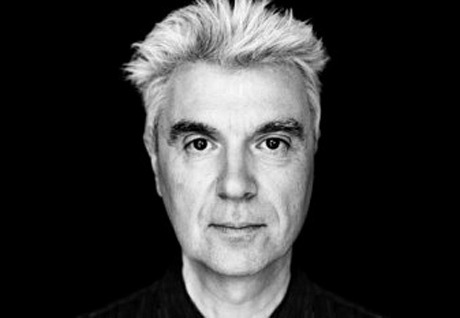 Talking Heads frontman David Byrne is no stranger to putting pen to paper outside the realm of his many musical successes, having published a number of books across a wide range of subjects over the last few decades — like his Bicycle Diaries in 2009 and the acclaimed How Music Works in 2012. Today, he's tackling the topic of American politics, channelling his thoughts into an online essay titled "The Echo Chamber." In it, he dissects America's fascination with Donald Trump, deriding the country's blatant ignorance of factual evidence throughout the campaign so far and concluding that "it seems that anything that contradicts a passionate belief has become invisible." Byrne offers observations on the American public's growing distrust of politicians and wonders, "How did we get to a point where dialogue is impossible?" in both the presidential race and "many other areas of discussion as well." Americans feel disenfranchised — that the government isn't responsible to the people and instead only responds to the wishes of special interests. In my opinion, the latter is not just a feeling, it's true. Add to that the feeling of impotence—that traditional remedies and corrections aren't effective anymore — and you have a pretty explosive cocktail. This probably drives a lot of Sanders supporters, too, though my bias leads me to assume that Sanders isn't propagating outright lies and misconceptions — he's actually addressing issues and not simply massaging his ego and building his brand. We would like to think of the web at a place of pluralism — a place where many voices, often at odds with one another, can be heard. A place of diversity. A place to find out what wonderful and unexpected stuff exists that is different than anything and everything you already know. It seems that may have been true with net 1.0, but as market forces increasingly take effect, the diversity of voices, while it still exists, is now so filtered and targeted that you may only hear echoes of what you already believe. It's human tendency — further complicated by the fact that doing so funnels lots of advertising dollars into the pockets of big corporations. Read the complete annotated essay over here at Byrne's official website.